We are engagged in offering Patch Woolen Durries. Our woolen durry is also available in rich blend of colors & different sizes. 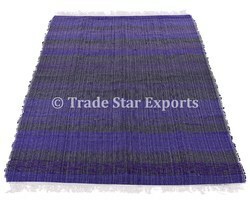 Our genuine quality woolen durry is highly valued by all our clients in the quality cautious market. Woven Dhurries are flat-weave pile - less made on horizontal looms. It incorporates a wide variety of designs ranging from simple tribal patterns to trendy geometrics. 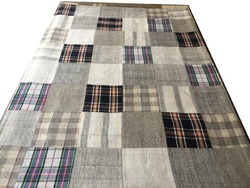 It is much lighter than Hand Knotted of Hand Tufted Carpets. Modern version extensively use a wider range of contemporary colour to brighten and beautify home.